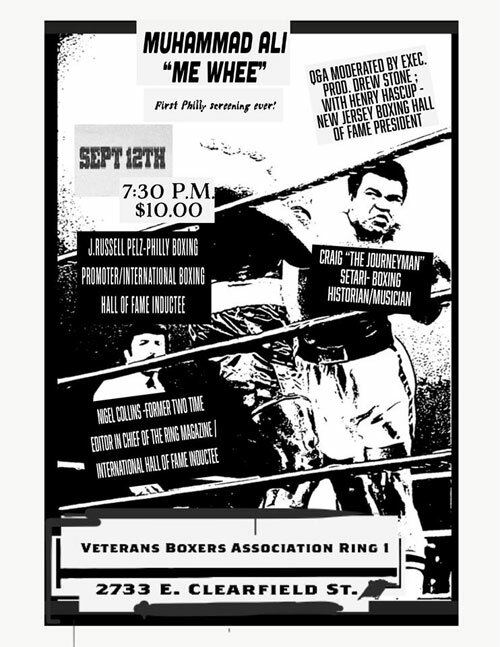 The short film documentary – “Muhammad Ali: Me Whee” makes its Philadelphia premiere on Wednesday, September 12, at the Veteran Boxers Association Clubhouse (VBA-Ring 1). 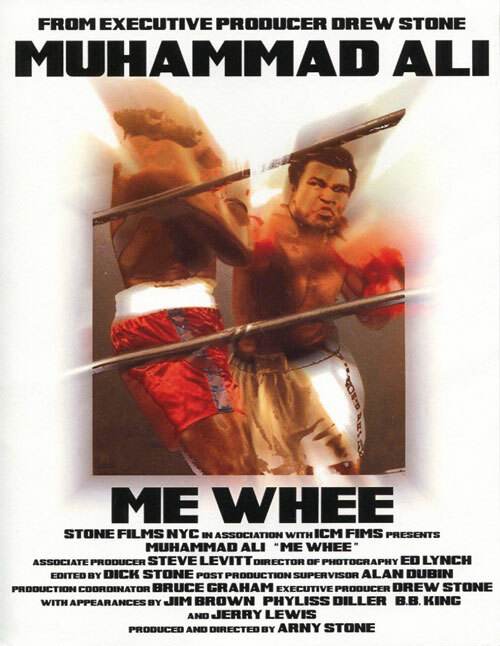 The 30-minute movie, produced and directed by Arny Stone, features vintage footage of the great boxing champion during his second reign as heavyweight champion in the mid-1970s, and beautifully captures Ali’s persona, his love for kids, and the entertaining ride he took all of us on when he was at the peak of his athletic skills and personal charms. Shot at Ali’s Deer Lake training camp, Las Vegas, and Harvard University, the film also includes appearances by Jerry Lewis, B.B. King, Angelo Dundee, Bundini Brown, Jim Brown, and others. The event on Wednesday also includes an all-star Q&A / panel discussion featuring the Executive Producer of the film Drew Stone, Hall of Fame promoter J Russell Peltz, NJ Boxing Hall of Fame President Henry Hascup, Hall of Fame boxing writer Nigel Collins, and musician and boxing historian Craig Setari. The event begins at 7:30 PM and costs $10, which includes the movie, the discussion, food, and drink specials. Tickets can be purchased at the VBA Club in advance (Friday, Saturday, Sunday) and then at the door on Wednesday. The VBA Club is located at 2733 E. Clearfield St., in Philadelphia’s Port Richmond section (19134). For more info, please call 609-377-6413.